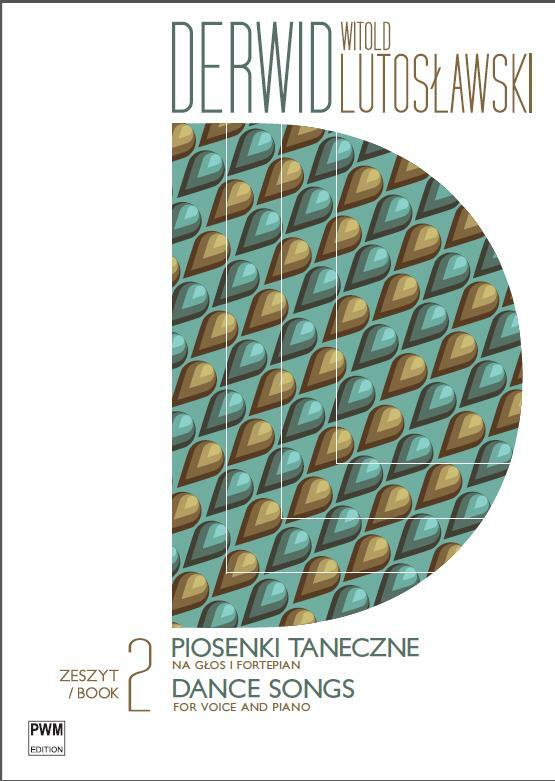 The Polish Music Publisher PWM has just issued a press release about its two new volumes of songs by Lutosławski that he wrote under the closely guarded pseudonym ‘Derwid’. He composed these popular dance songs – foxtrots, tangos, waltzes, etc. – in 1957-63, although the band arrangements were done in-house at Polish Radio. Many of the songs’ melodies were published in Polish Radio’s weekly listings magazine Radio i Świat (Radio and the World) at the time. PWM published five of Lutosławski’s piano versions as separate numbers in 1957-60 and over twenty through its fortnightly light-music imprint Śpiewamy i Tańczymy (Let’s Sing and Dance) in 1957-64. When I first came across this little treasure trove of largely forgotten music in 1994, I was the only person who had any interest in it. The songs were regarded by the Polish musical establishment as of negligible interest musically or historically. Moreover, I was told on several occasions by Polish colleagues that it would be unseemly for anyone in Poland to do even the most basic research into them or into Lutosławski’s other songs, especially his mass songs of the early 1950s. Fortunately, that situation has long been superseded by a more curious attitude, to the extent that in a month or so’s time a new CD will be released of some of the Derwid songs in edgy and humorous interpretations by Agata Zubel, Andrzej Bauer and Cezary Duchnowski (see my post from 26 March 2013, Zubel Zings!). Here is a list of the contents of the two volumes, which seem to present the songs in roughly chronological order. There are corrections and both additions to and omissions from the list I made in 1994 (this may be found at the end of my article, ‘Your Song is Mine’, The Musical Times, 1830 (August 1995), 403-10). I had erroneously equated Zakochać się w wietrze (To fall in love with the wind) with Serce na wietrze (Heart on the wind). 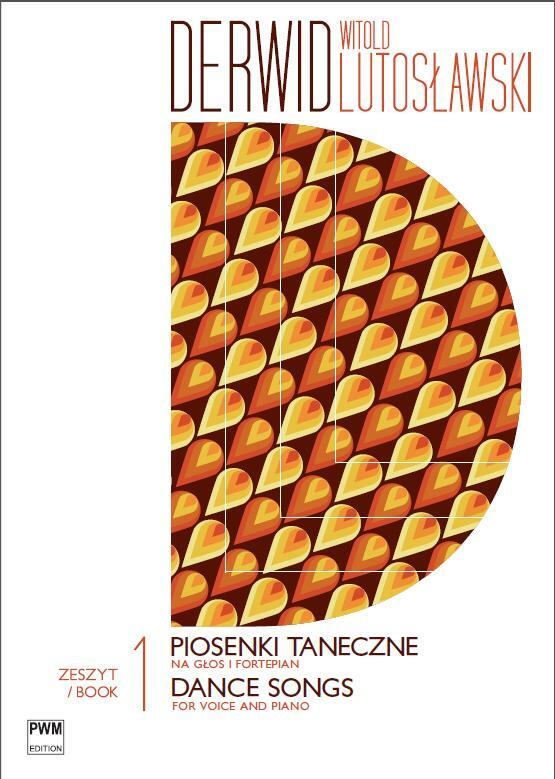 But I also named two songs which are not in this new collection, even though they were published by PWM at the time: Kiosk na Powiślu (Kiosk by the Vistula) / Kiosk inwalidy (Kiosk of the invalid) and Wędrowny jubiler (The wandering jeweller). Three further, unpublished songs were subsequently found amongst Lutosławski’s manuscripts at the Paul Sacher Stiftung in Basle – Dom rodzinny (Family home), which is not in this new collection, and two which are – Podlotek (Flapper) and Twoje imieniny (Your name-day). In Poland, each volume costs 35 złoty (= c. £7); outside Poland the price rises to 19.95 euros (c. £17). It’s not obvious why there should be such a huge difference in price. Here is the link to the relevant English-language page of PWM’s online shop. You might try going on to the Polish page by clicking on the Polish flag and seeing if you can pay by ordering in złoty!